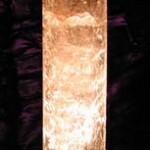 Home › Generators › Clear quartz “Rainbows” generator. 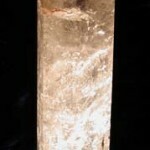 Tagged as clear quartz, generator, quartz. 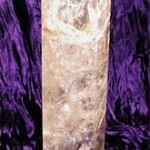 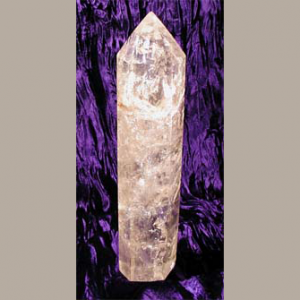 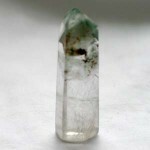 This is a generator crystal but could be used as a wand if desired. The crystal has clearer areas at its tip and base, with a central section abundant in its chaos. 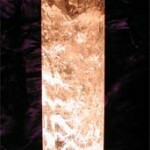 This section also has an abundance of nature spirits, evidenced by the multitude of reflective message plates within it. 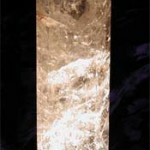 This crystal also has a flash of passion, a red mineral inclusion, visible two thirds of the way up the left side in the image below.